1. To make the white gazpacho, soak the bread cubes in cold water until softened, about 5 minutes. Squeeze dry with your hands. 2. Toss the almonds into a blender and pulse into a fine powder. Drop in the fennel, onion, cucumber, oregano, and 1 1/2 cups water and buzz on high until liquefied. Add the wet bread, oil, and vinegar and whir again until the mixture is as smooth as possible. Put the blender canister, covered, in the fridge for 3 hours, or up to 6 hours. 3. Meanwhile, toss together the crab, carrot, celery, brandy, and piri-piri sauce in a small bowl. Cover with plastic and refrigerate. 4. When ready to serve, fold the maionese de leite into the crab mixture and season with salt and pepper. If you want it a bit creamier, plop in another tablespoon or so of the maionese. 5. Whir the gazpacho in the blender for a few seconds to froth it again. Season with salt and pepper to taste, and pour it into a pitcher. Make a small bed of greens in the center of chilled bowls, top with the crab, and poke in a bit of fennel frond. 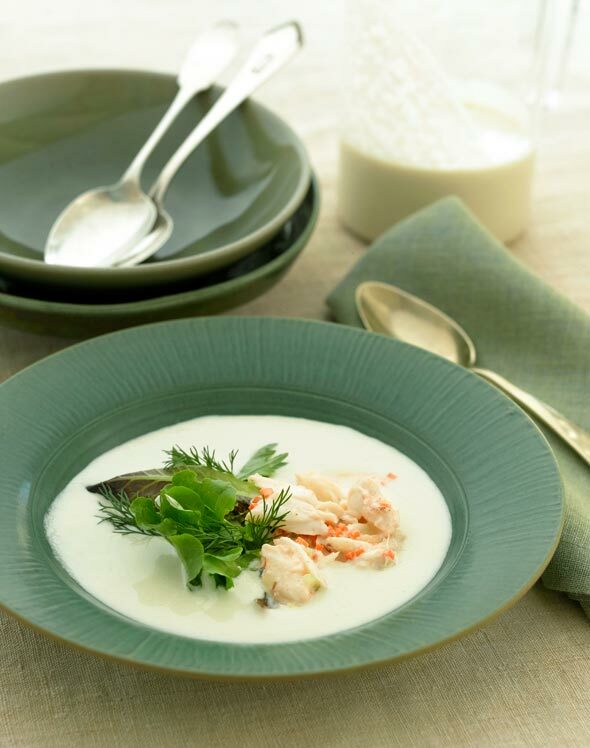 Place the bowls in front of your guests and pour the gazpacho around the crab. 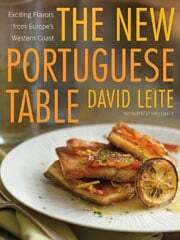 Portuguese White Gazpacho Recipe © 2010 David Leite. Photo © 2010 Nuno Correia. All rights reserved. All recipes and photos used with permission of the publisher.